Do you spend seemingly endless hours grading student quizzes and tests? Would you like to have a quicker way to measure student performance? 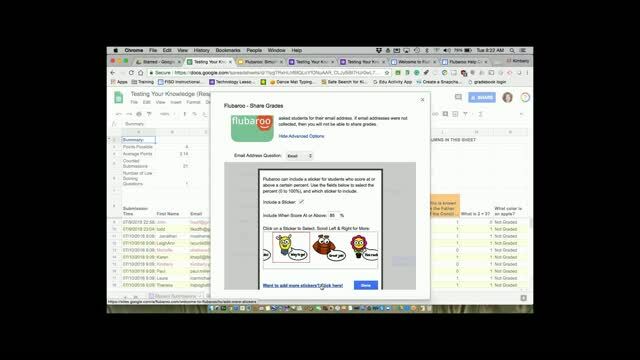 This webinar will show you how to use Flubaroo, a free, quick, and easy tool that can cut your grading time in half. 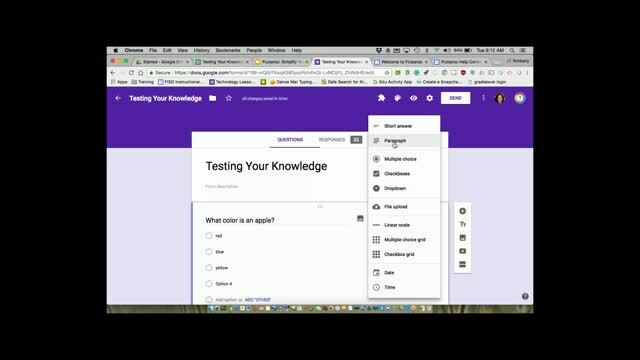 Join Kim Munoz as she covers how to use this tool to grade multiple choice and fill-in-the-blank tests created in Google Forms. 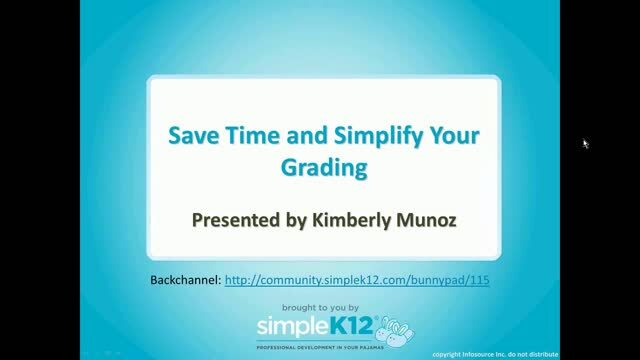 She'll also demonstrate how you can use it to review overall grades using averages and graphs, and then email the grades to your students - all in a matter of minutes. You'll wonder what you ever did without it! I've never tried Flubaroo before, but I'm anxious to get started! The webinar was very helpful, besides the actual tool, it made me think of other ways I can modify my own grading to make it simpler. Great information. I am excited to try Flubaroo. I have full membership and it won't allow me to watch the webinar, but instead tells me I need to update to full membership. 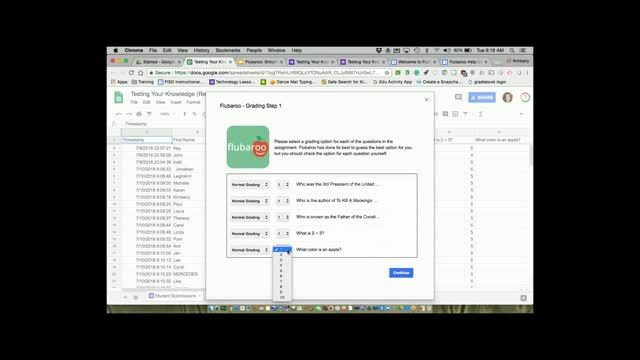 Excited to try Flubaroo as an add-on! Thank you!